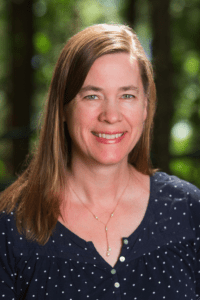 Author Interview with Caragh O’Brien! Well, it’s time for finals, so we thought we’d share something fun on the blog! Caragh M. O’Brien is the author of the BIRTHMARKED trilogy and THE VAULT OF DREAMERS, both from Macmillan/Roaring Brook Press. Born in St. Paul, Minnesota, Ms. O’Brien was educated at Williams College and earned her MA from Johns Hopkins University. She recently resigned from teaching high school English in order to write young adult novels and now lives in rural Connecticut. Can you tell us a little bit about what you’re working on right now? How was it to end the Birthmarked trilogy and start something new? First, Emily, let me say thanks for inviting me to do an interview. Happy New Year to you and your readers! I’m working on the sequel to The Vault of Dreamers, The Rule of Mirrors, which has been evolving slowly since last spring. I have a very patient editor who has been super supportive. Ending Gaia’s story left me with a mix of feelings: I was sad to leave my characters, but also satisfied that I’d left them in the right place. I was curious and excited about starting Rosie’s story, but the challenge was daunting, too. I hoped I would be able to do a decent job. Describe The Vault of Dreamer’s heroine Rose in three words–using only nouns. She’s creative, caring, and curious. 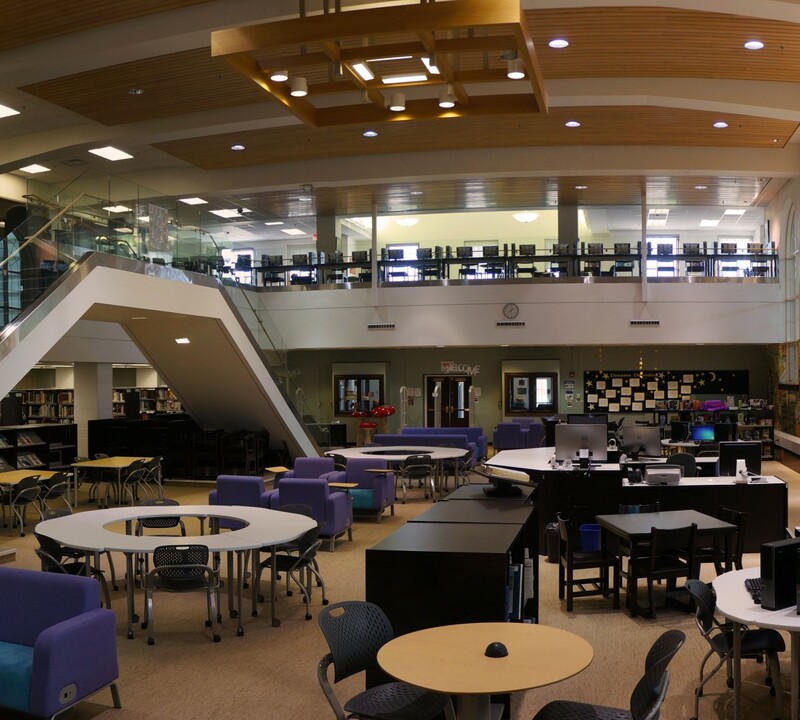 Where did the Forge School story start? How long from inspiration to publication? The idea came from a combination of my interests in reality TV, education, and dreams. I had the first inklings back when I was working on the Birthmarked Trilogy, in 2011, I think, and then I had a full draft of Vault in 2012 when my editor bought it. I was still revising it in early 2014, and it came out last fall. So, what is that? Three years? I don’t really count the time. I just keep writing. 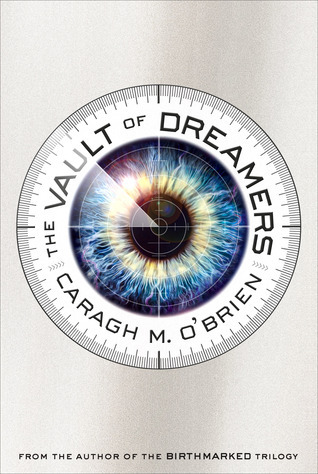 Did the plot of The Vault of Dreamers drastically change from first draft to publication, or was the story pretty well nailed down from the get go? I had the basic concepts in the first draft (the school, the evil around the dreams), but the characters deepened and the layers of the plot had to develop a lot before the final draft. I had to discover the story with Rosie, who could only see the problems from her perspective, so it was tricky to develop what Berg was doing behind the scenes. Has your writing process changed since writing Birthmarked? I seem to write each book differently. The first draft of Birthmarked came out in a straightforward way, and then went through a dozen or so revisions. My first drafts since then have been more tangled, and they, too, have required many revisions. It might seem like I’m going backwards, but I have more faith now that I’ll eventually find solutions as long as I keep working, so I trust my process more. That’s an advance. You have some amazing characters in The Vault of Dreamers, not to mention your Birthmarked trilogy! What character has been your favorite to write, and why? Hmm. I loved writing Gaia’s character and oddly enough, I still wake up thinking about her sometimes. I have a similar investment in Rosie, especially in the book I’m writing now. She gets to me in ways I can’t quite describe and makes me care for her struggles. Leon, Will, Peter, and now Linus are favorites of mine, too. Would you rather your books be made into a movie or a TV show? Why? I’m very happy that the stories exist as books, and I don’t expect they’ll ever make it to screens. That said, I could see The Vault of Dreamers as a TV show. It would make sense, considering The Forge Show is a reality TV show. What is your definition of a “bad writing day” and how do you deal with them? Any words of wisdom for aspiring authors? Explore the ideas that fascinate you, and don’t worry about what anyone else thinks. We know what you like to write–epic, thrilling dystopias!–but what do you like to read? Describe how your bookshelves are populated. 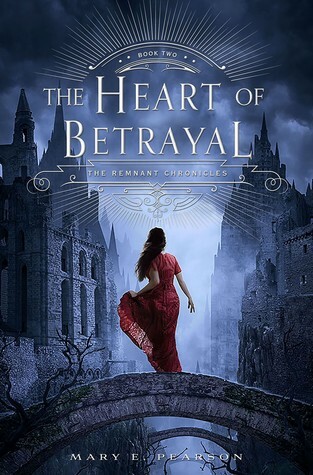 I love reading YA and have many recent favorites—The Winner’s Curse (Rutkoski), The Kiss of Deception (Pearson), Every Day (Levithan), and Belzhar (Wolitzer). I also enjoy historical fiction, romances novels, poetry, adult fantasy, and humor. I keep a list on Goodreads and update as I finish books in case you want to see more titles. What’s one book you’re looking forward to being released? I’m looking forward to the sequel to Pearson’s The Kiss of Deception. She’s a friend, and I’m hoping I can finagle an ARC out of her. Thanks for these questions! Happy reading and writing!